A Win is a Win, Unless It's Against the Feds | Hupy and Abraham, S.C. If you subscribe to our free riders Newbrief publication, you read in the Fall 2015 edition that the Mongols motorcycle club has been fighting to retain ownership of the club logo since October, 2008, when 80 members were rounded up in a sting operation. 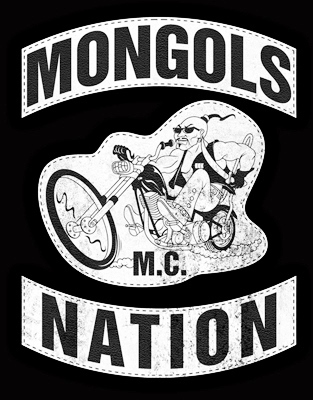 The federal government has listed the Mongols MC as a criminal enterprise and has been trying to move forward with forfeiture proceedings to eliminate the club's signature mark, known as "colors". A trial back in 2008 (United States vs. Cavazos) had the former club president, Ruben Cavazos, cooperating with authorities as they painted the Mongols as a criminal enterprise, with the club colors as the big prize. The judge didn't buy that argument, ruling the trademark logo belonged to the organization, not individuals, and as a collective membership mark it was protected speech under the First Amendment. The government appealed, and for the last eight years, it has been a battle of strategies, delays and change of judges. Finally a trial date was set for October, and the high stakes included keeping the club colors and also asking that the prosecutors be held personally liable for some of the clubs legal fees, since it appeared they were purposely delaying the case while running up the club's financial burden for defense. Not too surprisingly to this reporter, the court again ruled in favor of the Mongols and seemed to put this matter to rest, once and for all. Oh wait, this is the government we're talking about and they hate to lose. So, it appears there may be a round three coming up, as U.S. Attorney Christopher Brunwin has indicated he would appeal the decision. Stay tuned: apparently the fat lady hasn't sung yet.